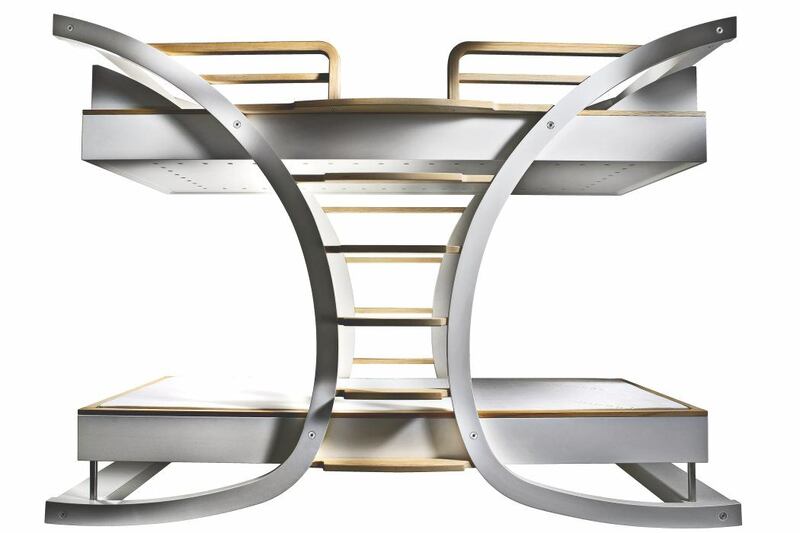 Wave 2 is an exclusive bunk bed designed by Gudiksen Design in 2008 and produced in Denmark. 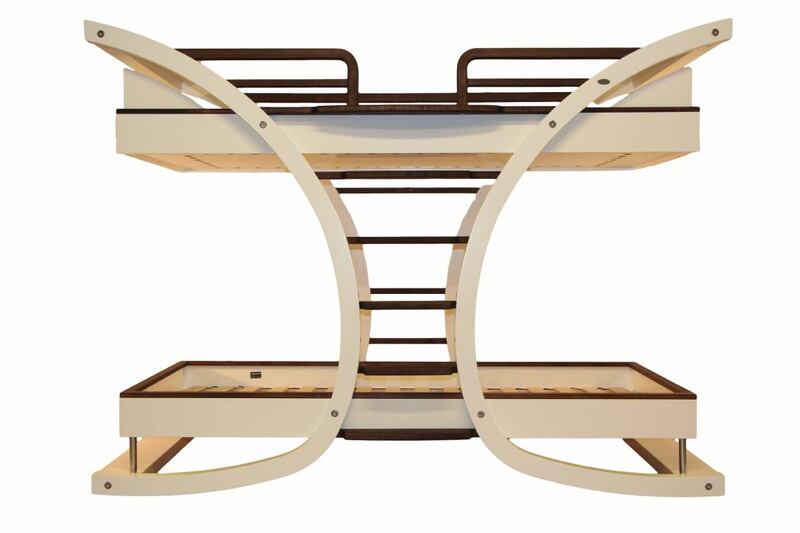 With its esthetic, playful and airy design, this bed is a one of a kind bunk bed. 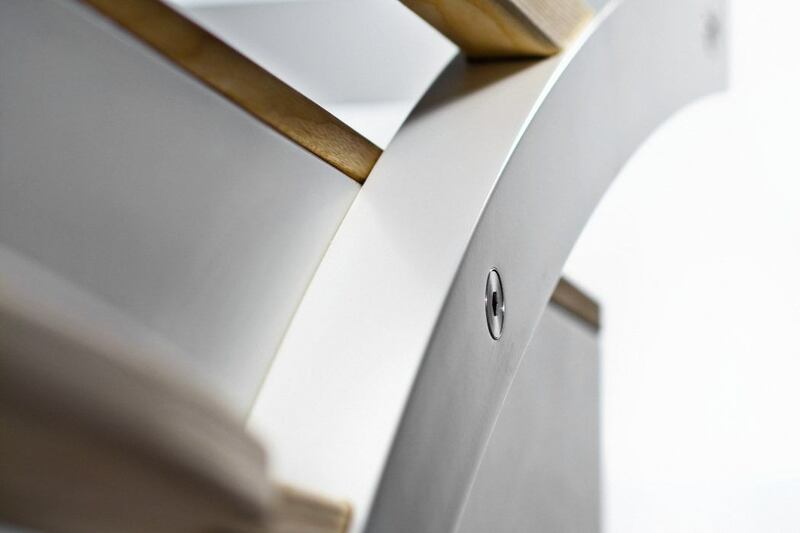 The smooth arches in molded veneer makes this bed a unique piece of furniture yet unseen in the world of design furniture. 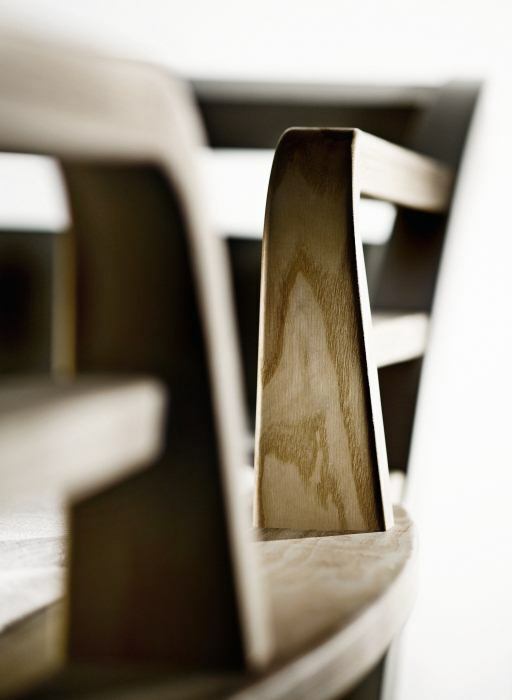 Every bed is hand crafted and made by quality materials by experienced woodcraftsmen with an eye for detail. 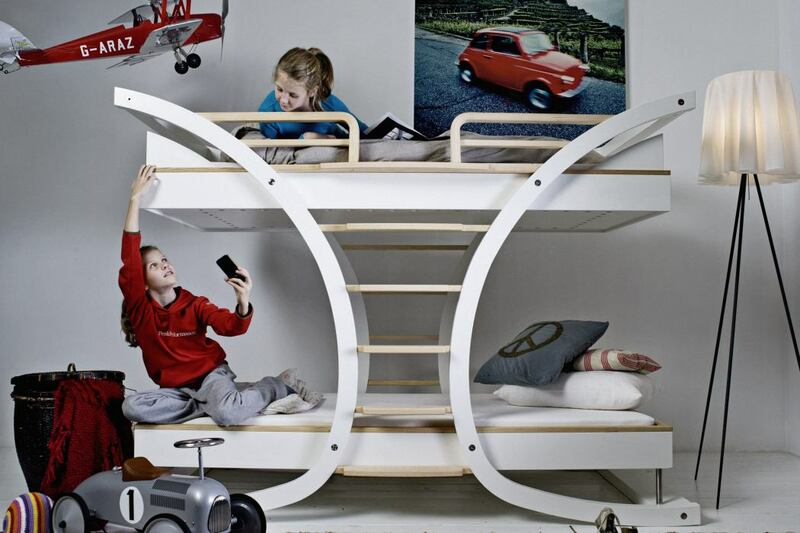 The bed is useful for both children and adults, and represents the exclusive answer to the classic bunk bed solution. The unique construction design makes the bed both incredibly stable in use as well as durable. The bed is designed to be used by two adults and has been rigorously tested for safety as well. Please review our technical specifications for details. Wave 2 comes in a variety of colors to give you every opportunity to match the bed to the rest of your interior decor. The framing of the bed and steps come in two designs: Oil treated ash wood and walnut stain. Wave 2 comes in two sizes. The European adapted to European mattress sizes and the American version, which fits the American twin single mattress size. This will accommodate you in finding the correct mattress size for optimal fitting of bed linen.